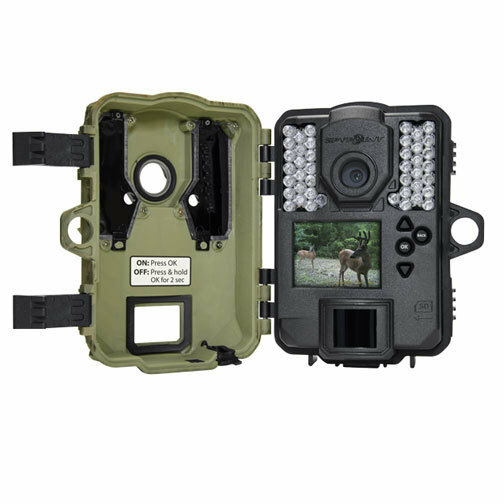 The ultra-compact SPYPOINT FORCE-11D trail camera captures 11 megapixel photos or HD videos in color by day & black-and-white by night. 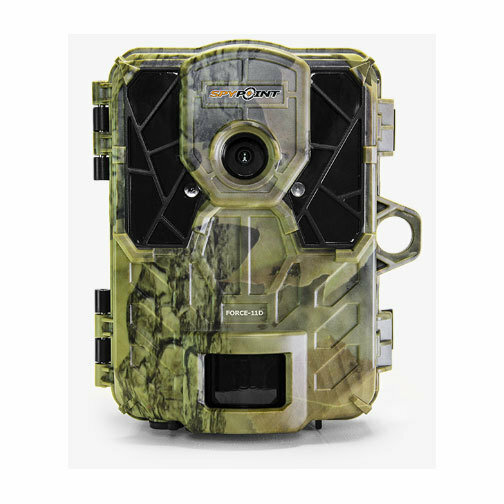 The camera uses high-power super low glow LEDs combined with the blur reduction technology to have the best image quality at night. It is the perfect camera to avoid disturbing or spooking your game. The curved motion sensor lens improves the detection angle and distance of its 5 detection zones. The detection range can also be adjusted from 5' to 80'.